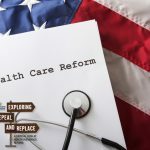 Most citizens are forming opinions on health reform based on how the current health system currently affects them. 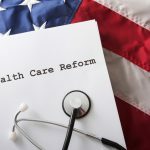 If they have never been turned down for coverage because of pre-existing conditions, if their health insurance is provided by their employer at a reasonable cost, or if their insurance premiums and co-pays have not increased substantially in the last few years, they may not see the urgency of health reform in America. 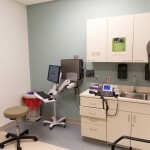 However, if they are one of the millions of Americans who have not had good experiences with the current health system, reforming our current health system is of absolute necessity. This clearly applies to both those folks who have access to health insurance and those who are uninsured. Those opposed to health reform acknowledge some of our current problems but say that the “new system” — whatever it is — will be worse. They are playing on our fears of trusting government to provide programs/services that are yet to be fully defined. They are suggesting that whatever health reform plan is passed by Congress will bankrupt America. I am glad these questions are being asked because America deserves an open, honest debate on this important issue. What America does not need are the dishonest and misleading comments and radio/TV ads and the unruly and rude people who are attending the open forums. Clearly politicians need to be asked tough questions and there will never be complete agreement with the answers. That is what makes our democracy strong. However, physical threats, yelling, damaging property, name calling, etc. is not useful and productive as we continue the public discourse on trying to determine how or if we should reform our current health system. We are better than this!